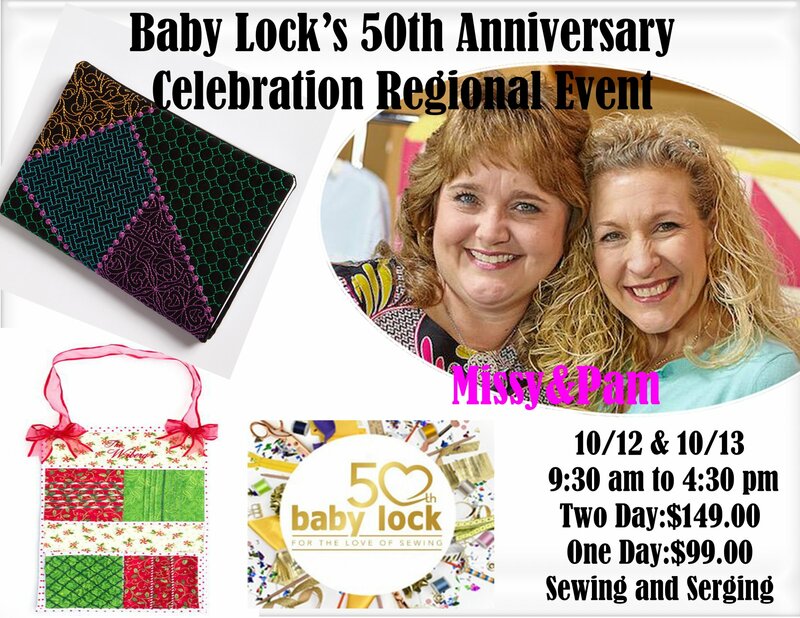 Two fun-filled days of hands-on sewing, serging & embroidery with two Baby Lock Educators- Missy Billingsley & Pam Mashie, using the latest Baby Lock machines. The projects are an embroidered notebook cover and a serged hanging organizer. The event is being held on Friday & Saturday, October 12th & 13th, from 9:30 am to 4:30 pm at the Masonicare at Ashlar Village, 74 Cheshire Road, Wallingford, CT 06492. 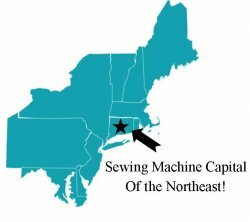 Fee for the two-day event is $149.00, which includes project kits, use of the machines, lunch & hand-outs. One day event option available for $99.00. Call any store for a One-Day Sign-up!